NürnbergMesse is one of the 15 largest exhibition companies in the world and among the Top Ten in Europe. The portfolio covers some 120 national and international exhibitions and congresses and approx. 40 sponsored pavilions at the Nürnberg location and worldwide. Every year, around 30,000 exhibitors (international share: 39 %) and up to 1.4 million visitors (international share of trade visitors: 22 %) participate in the own, partner and guest events of the NürnbergMesse Group, which is present with subsidiaries in China, North America, Brazil, Italy and now also India. The group also has a network of about 50 representatives operating in approx. 100 countries. We are an experienced organiser and host of national and international exhibitions and trade fairs, and work together to create tailored solutions for all sorts of industries. As your organiser, we will of course offer you our support too. We will devise individualised concepts for you and coordinate all the services relevant to your event, such as logistics, technology and the trades our professional service partners work in. 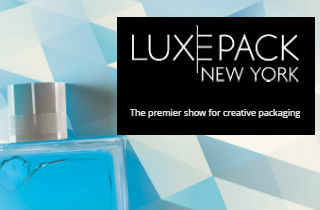 In the Packaging industry, NürnbergMesse presents FachPack, one of the most important European packaging exhibitions.